I have traveled quite a lot throughout my life, but one place I have never been to is Africa. And I am talking the continent here. Neither have I been to the northern countries nor to the South, I never ever set foot on African soil. That sounds more dramatic than it is, I know, but I am married to a man who has literally travelled every continent, so I feel the need to catch up. To be honest, we just set foot on Antarctica when we went to Chile for a very short time, but you know, we have been there. 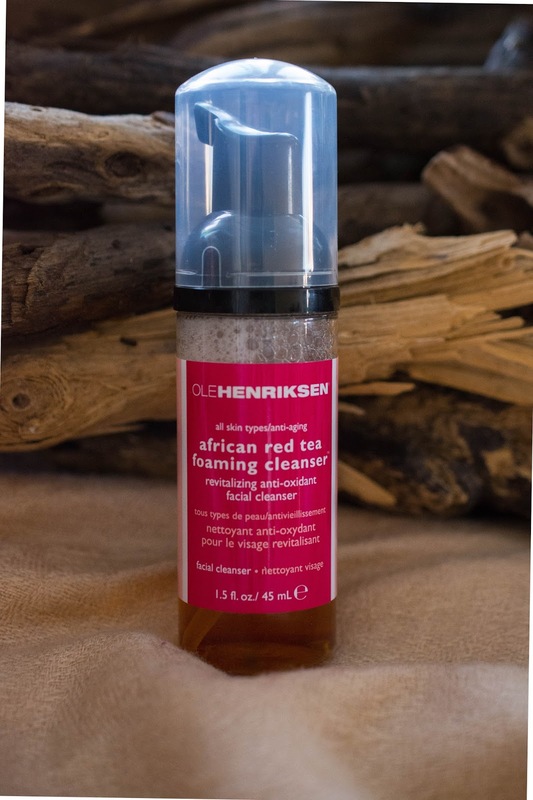 Ole Henriksen African Red Tea Foaming Cleanser has Africa written all over it. This creamy cleanser gently melts away dirt, oil and makeup with African Red Tea and essential fatty acids to clean and nourish without stripping. The product is available in two different sizes, 44 ml (1,5 fl. oz) and 207 ml (7 fl. oz). Both come in a see-through plastic bottle complete with a pump and a red label. The liquid itself is orange in the bottle, but comes out as a white foam that slightly smells like oranges. 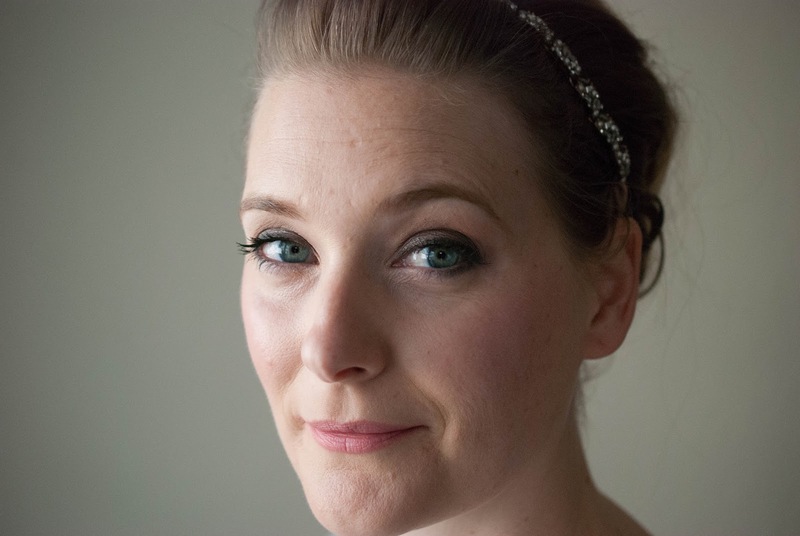 When applied to the face, the cleanser feels slightly creamy and dissolves very well. I usually remove it with a warm, wet wash cloth, but I reckon you can remove it with water only as well. I use it as my morning cleanse, so I have no idea how well it removes makeup, and I have to say that now that the weather is getting a little colder, my skin can feel a tiny bit tight after removal. The small version retails for 9 $ on the Ole Henriksen website, the bigger one for 30 $. 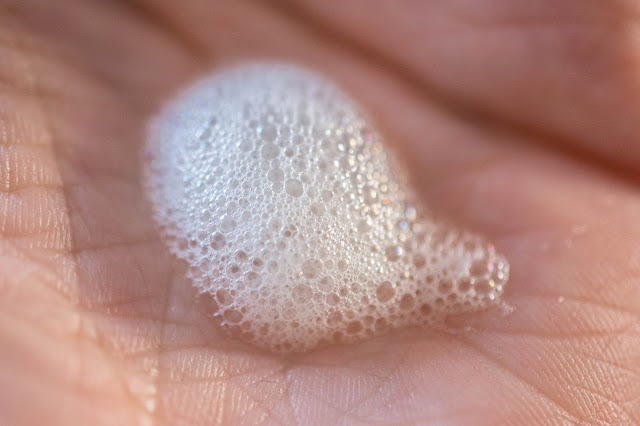 It is gentle, it cleans very well and it contains a long list of nourishing ingredients. If the Red African Tea, also known as Roiboos tea, has any benefits in skincare is yet to be proven. But other than providing the name for the product it only shows up in the last third of the ingredient list, so I don’t think it is really important whether it does. Not immediately, but I can see this one becoming my go-to morning cleanse in the summer months. The smell is refreshing, the texture very pleasant and the application quick and easy. People with normal to oily/combination skin. People that spend time outside in the sun and need help to fight the hyper pigmentation already there as well as prevent new one. If you have dry skin, it will probably be a little stripping for you, and if you are sensitive to fragrances, patch test first. And how many continents have you traveled already?